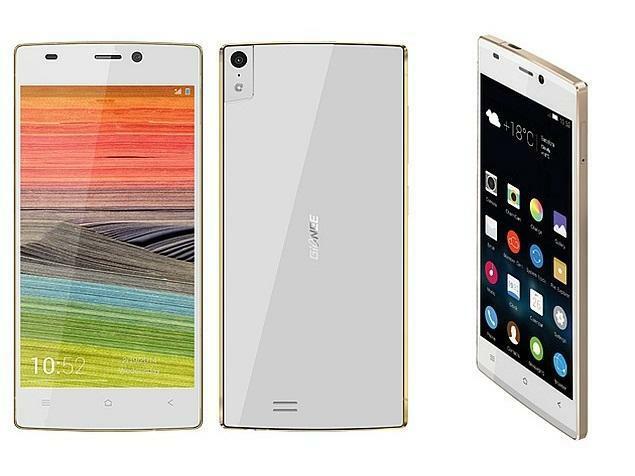 As of July, the smartphone company, Gionee, has outdone itself. Previously they held the record for the world’s thinnest smartphone with the Elife 5.5, so named because it was a dazzling five and a half millimeters in thickness. Recently, however, they have announced the Elife 5.1. Available only in China, for the time being, this leaf-thin smartphone is a record 5.15 millimeters thick, 0.2 inches. That’s thinner than your average pencil. But how powerful is this record-breaker, and has it given up aesthetic quality for its paper-thin design? Luckily the technical capabilities have miraculously been staid, and the visual design has even been improved, specifically when compared to the Elife 5.5, its predecessor. According to Cheap Phones.com, the body of the phone is a little wider than the Elife 5.5, at 139.8 millimeters by 67.4 millimeters, slightly larger than an iPhone. This is mostly to make room for the micro-USB and head-phone ports which would normally rest slightly above the internal hardware. In addition, room has been found for a surprisingly powerful 2100 mAh battery. Apart from this, however, the Elife 5.1 has almost identical specs to its predecessor, the Elife 5.5. The world’s thinnest phone, somehow, operates on the Android 4.3 operating system with no difficulties, though paired with Gionee’s own Amigo 2.0 operating system. Physically, it is equipped with a 720p 4.8-inch AMOLED display and LTE connection, and the Elife 5.1 has an eight megapixel camera on its back. On its front, just above the screen lies a five megapixel camera. As such, the Elife 5.1 sits comfortably in the middle of the road when it comes to its external specs, competing with most similarly-priced smartphones. Inside, the Elife 5.1 runs Qualcomms 1.2GHz quad-core Snapdragon 400, a gigabyte of RAM and sixteen gigabytes of expandable internal storage. This an outstanding quantity of storage and power for such a thin device. One major fault found with the Elife 5.5 was its visual design. Much had been sacrificed to achieve its remarkably thin build, including its visuals. The Elife 5.1, however, looks as though it was from the future. Sporting much glass alongside stainless reflective metals, the phone is remarkably sleek looking. This certainly works well with its assumed style, that of the new, futuristic, thin smartphone. In addition, it can be ordered in any number of colors, and Gionee sells specially-designed cases, as most traditional manufacturers do not provide cases which account for the unique dimensions of the Elife 5.1. At present, the Elife 5.1 is only available in China. However, due to its increasing publicity overseas, the thinnest phone in the world will likely follow in the footsteps of the Elife 5.5 and soon be made available to everyone. Those who would like a visually appealing and slim smartphone, even one with middle of the road technical capabilities, may soon be able to purchase one. It may be a long time before any other phone company takes the record away from from Gionee. The Chinese company would seem to be in competition only with itself.